Yesterday was Canada’s Thanksgiving Day, the one that comes a month or so earlier than the American version. 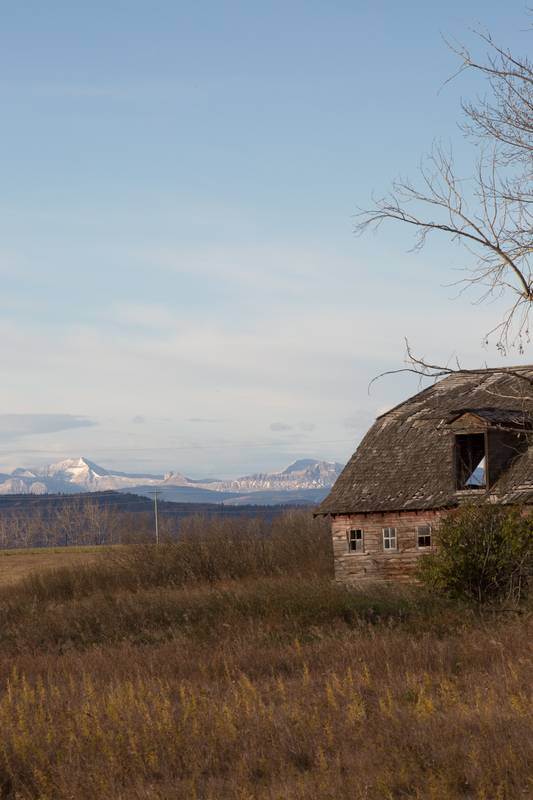 I headed out west from Calgary into Springbank for a photograph that came to mind the day before driving to the hockey arena. With so many motorists staying at home, I could safely sneak out and shoot from the middle of the road. 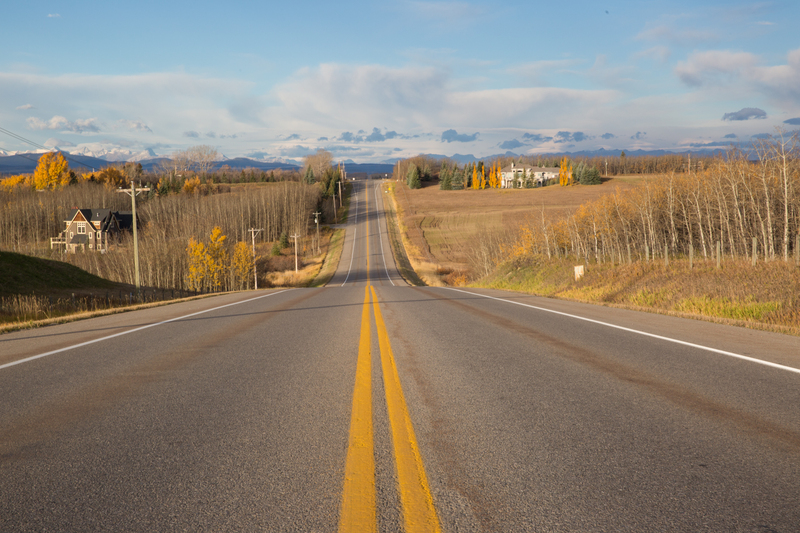 Yellow lines down and over the hill towards yellowing birch and Swedish aspen and the Rocky Mountains. My early morning outing allowed me take a closer look at a barn I have travelled past many times. At just the right angle you get a glimpse of the Rockies through its peeking top window. To conclude these three fall shots, I pulled out a photograph I took just two years ago today. 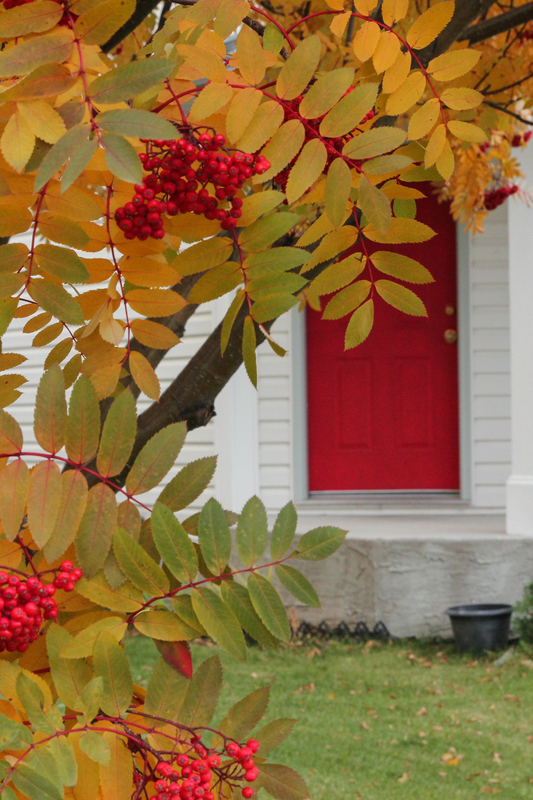 It brings out the autumn colours of a fruit-heavy Rowan (Mountain Ash) set against a boldly painted front door.